So its been roughly 5k miles since I had my bushings replaced. My only comment would be I guess the noise. I am not sure if the shop I took the car to put the biggest bushing on right. I get a lot of croaking and rubber rubbing noises when I take sharp turns. I made it clear to the mechanics to lube up the bushings but who knows if they really did. The bushings are holding up well. I notice a lot more directness road feel. Just make sure they are installed right. 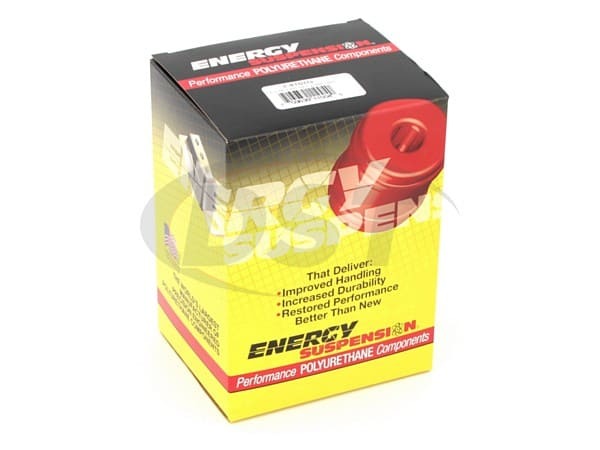 My G35 was clunking like crazy in the front end and my steering would jolt over bumps before I installed these. I couldnt even get an alignment done properly because the second I hit something like a bump, it would throw off all of the geometry. 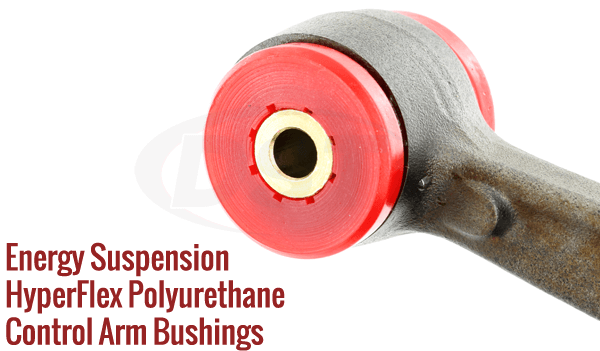 The stock bushings on the control arms tend to fail around 100,000 miles, sometimes sooner, and require immediate attention. Do not put this job off. Anyone with around 6 hours, access to a press, and some decent mechanical skills can do this job fairly easily. Be patient and youll have an amazing product under your car. Shipping was incredibly quick and free. Received the package within 2 business days. \n\n\nCannot recommend them enough. 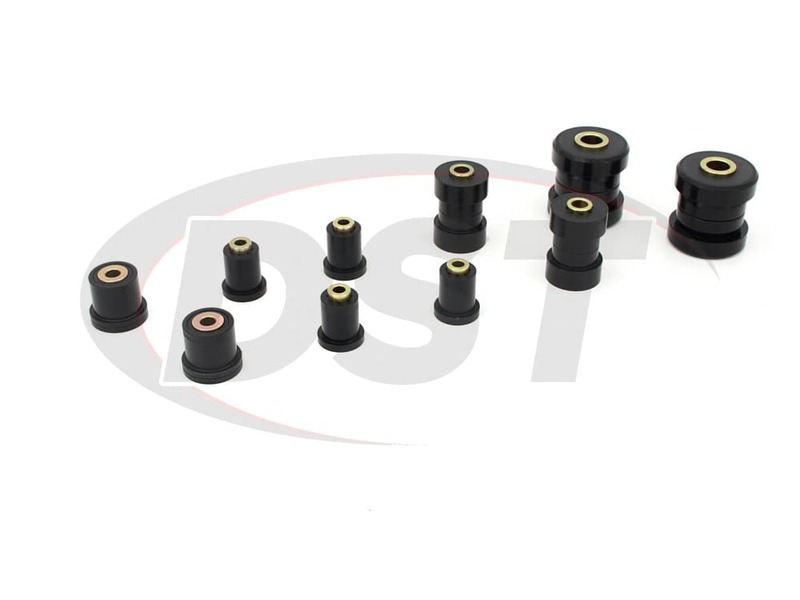 starstarstarstarstar" Superior parts - tremendous notable upgrade in performance "
This kit provided all the bushings, components, and even lubricant to upgrade the front suspension system of my 2003 Infiniti G35. 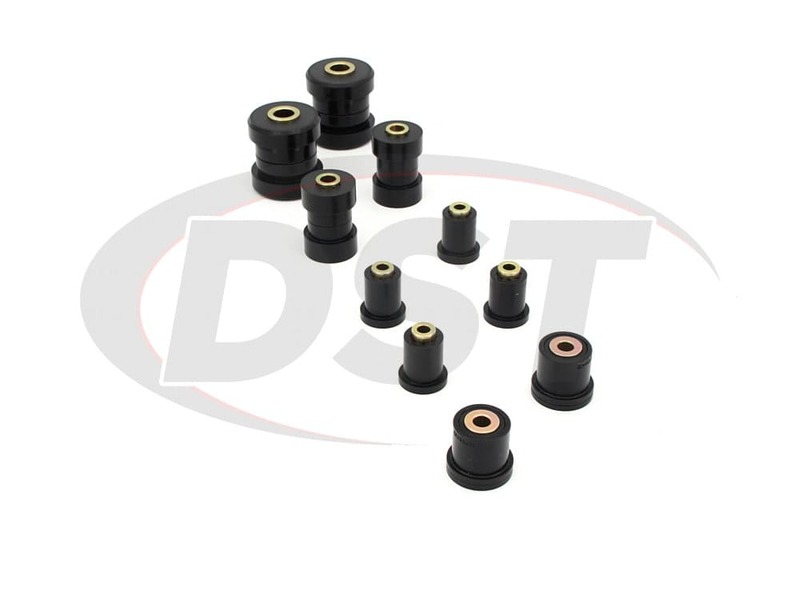 Although I was replacing worn OEM bushings, I opted to get these ones which were not much more expensive. Ive heard that its the most inexpensive and readily apparent upgrade one can make to a car - and that its correct.\n\nThe kit was easy to install in an afternoon - although I admit I had access to a hydraulic press to push out the old bushings and press in the new ones. My cars increased performance was fantastic. The handling was so much better and tighter - like a race car. I love it. Even I didnt think it would make such a dramatic improvement over the OEM suspension, but it did. \n\nI got the "red ones" - just so that anyone else who looks under the car can see that their not ordinary.\n\nLastly, I had no trouble ordering and the parts arrived quickly as promised. These are the best deal out there. Does part number 7.3121 come with the rear position on the front control arm? 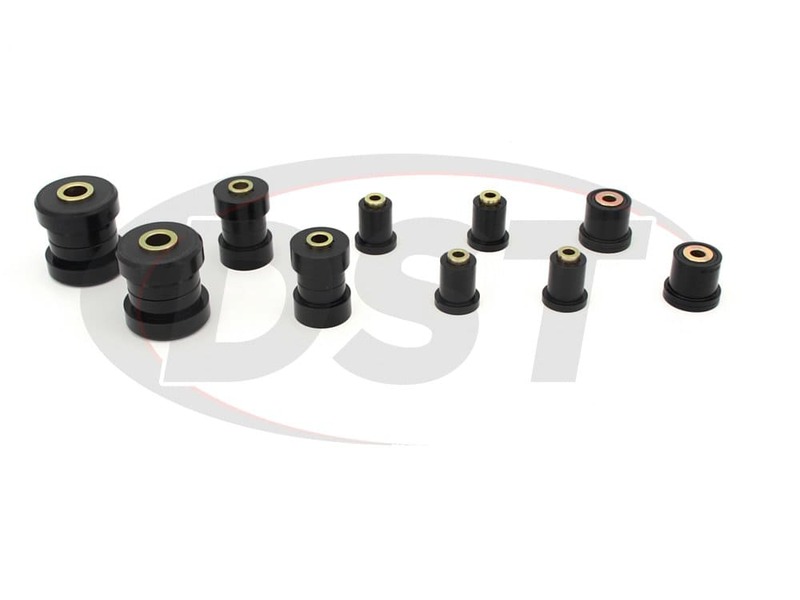 Yes, part number 7.3121 is the complete front and lower control arm bushings kit. Are there any installation instructions for kit number 7.3121? I am not sure how to install piece number 08P08399. Does kit number 7.3121 come with exactly what is shown in the picture?  Yes, you will receive everything you see in the picture for part number 7.3121. 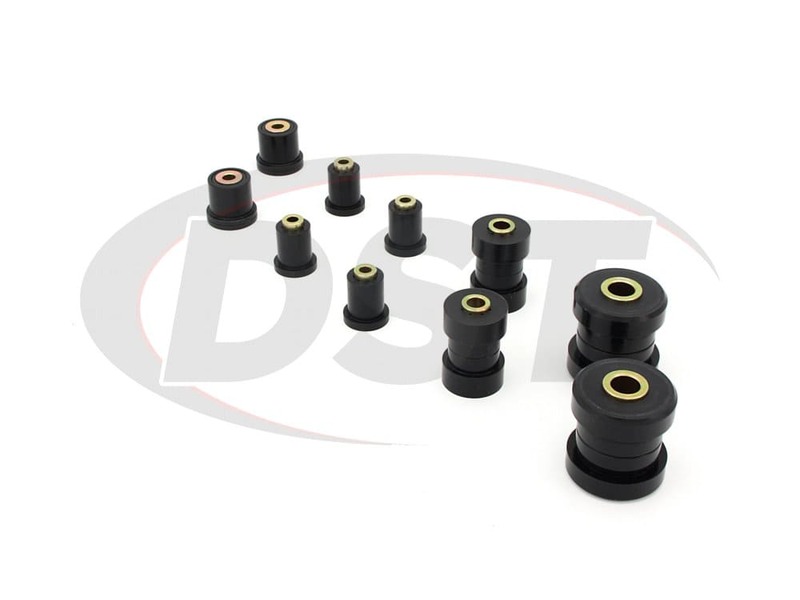 Does this kit include both upper and lower control arm bushings as well as the compression rod bushing ? 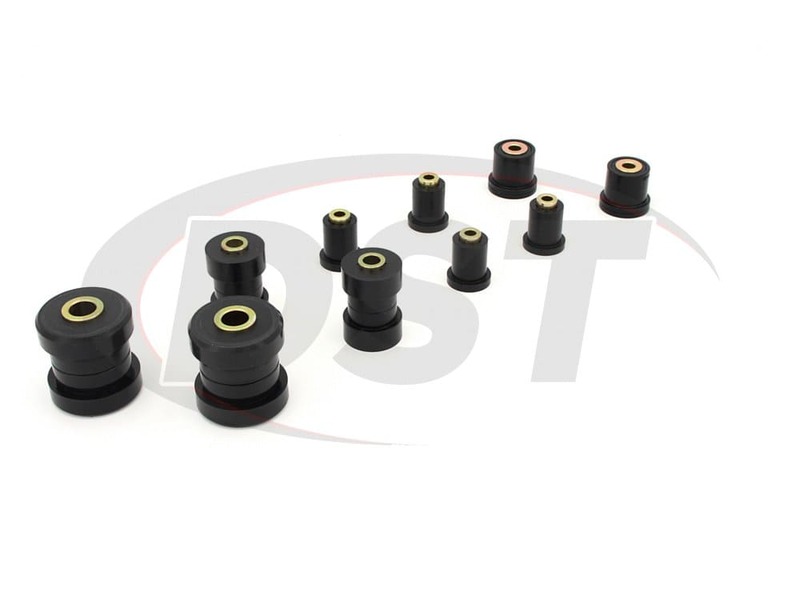 Yes, part number 7.3121 will cover both the upper and lower control arms as well as the compression rod bushings.